White Wine Quartino Wine Flight Set (P/N 60544). These delightful quartino decanters are just the thing for sharing with your friends. Each decanter is designed to hold 250ml. Hand washing recommended. 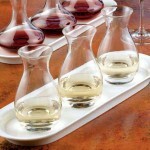 Three each 250ml glass mini-decanters. 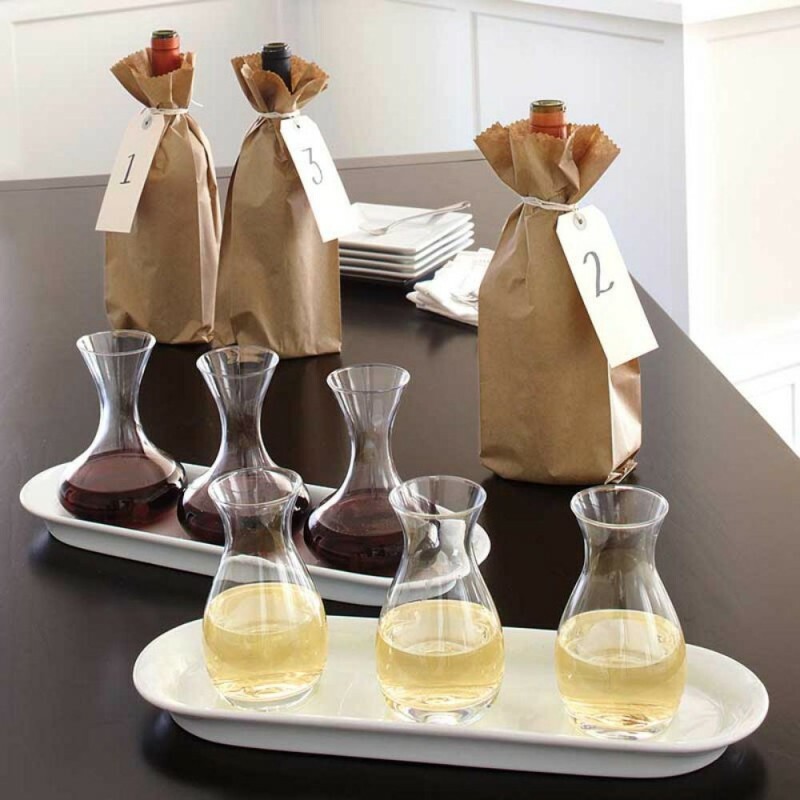 Also available for red wine. 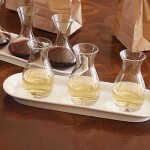 Decanter Quartino Set White, 3 glass decanters and ceramic tray, 15.25 inch tray.